“The end of an era” or “I cannot believe I actually played through this piece of crap” – Look behind you, a Three-Headed Monkey! 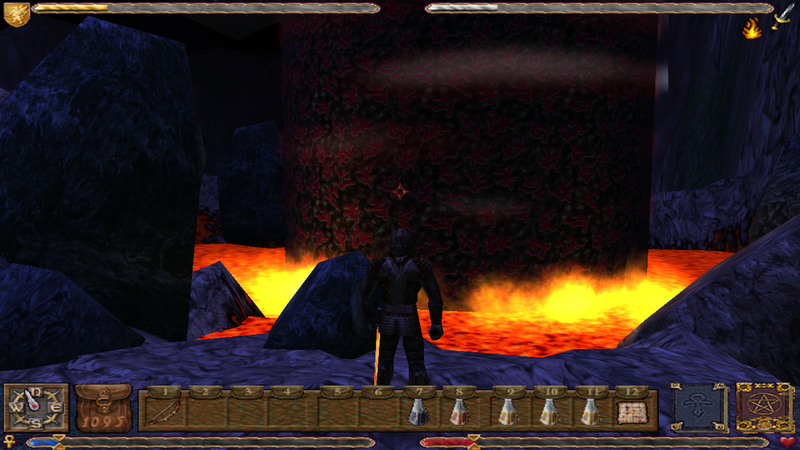 Ultima IX – Asccension is the only title of the classic RPG series which I actually bought at the time of its release. I remember playing it for a little while, but ultimately (ha!) I didn’t have the patience to complete it since it crashed about every two minutes. Also, at the time of its release in 1999, the game had insanely high system requirements, and really only worked on PCs with Voodoo cards, which I did not call my own at the time. After last year’s excursion to Ultima I, I felt it was time to revisit Ascension and see if I couldn’t take this one off my bucket list. 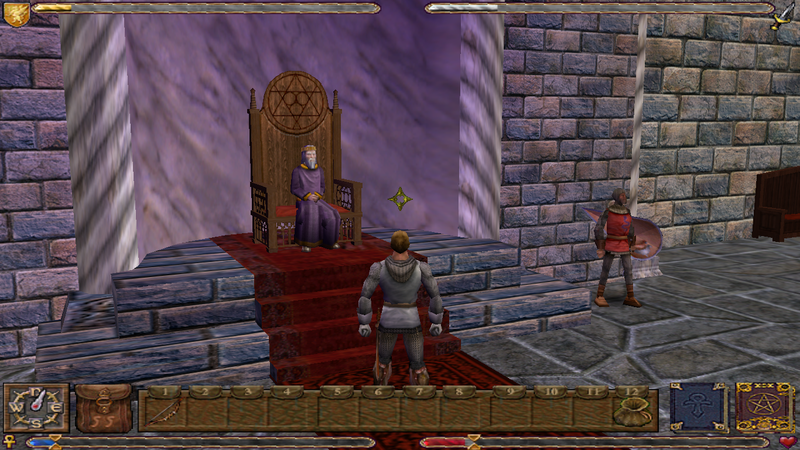 That being said, I went into this without full knowledge of the game’s lore: the Ultima series was set up as 3 trilogies, of which I’ve only ever played the first one. I knew who Lord British and the Avatar were, and that virtues would play an important role, but I was not familiar with the many side characters of the series. 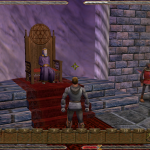 At the time of its release, a lot of fan criticism of the game was directed at how unfaithful Ultima 9 treated these characters, to which I cannot really attest. 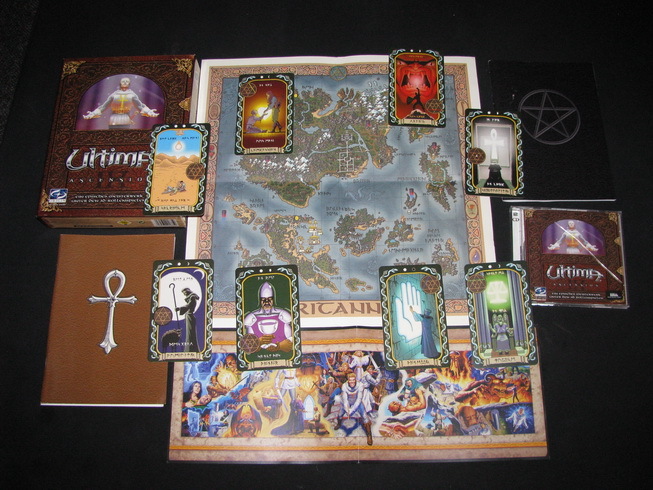 Unboxing the game, I was pleasantly surprised by how much swag came with it: there is a map, a printed manual, a spell book, a control sheet with some cool artwork, as well as a set of virtue cards. From what I remember that was fairly standard for an Origin release at the time, which makes me a bit nostalgic given that we ended up in a time where you have to buy a special edition to receive even a map with your game. The game jumps right in, as the avatar wakes up in his house near Austin, TX. Once again, he is being called to help the people of Britannia. The house and surrounding area work as a training ground to learn the controls and fighting mechanics. 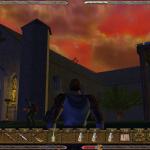 The idiosyncratic controls take some getting used to, but that is to be expected from an Ultima game – after all, previous titles used “K” to “klimb” and “Z” to display your character “ztats”. You kill some rats, learn to jump and swim, and play around with the objects in the house. There’s actually quite a lot to do for a game of this era, which was characterized by fairly static game environments. 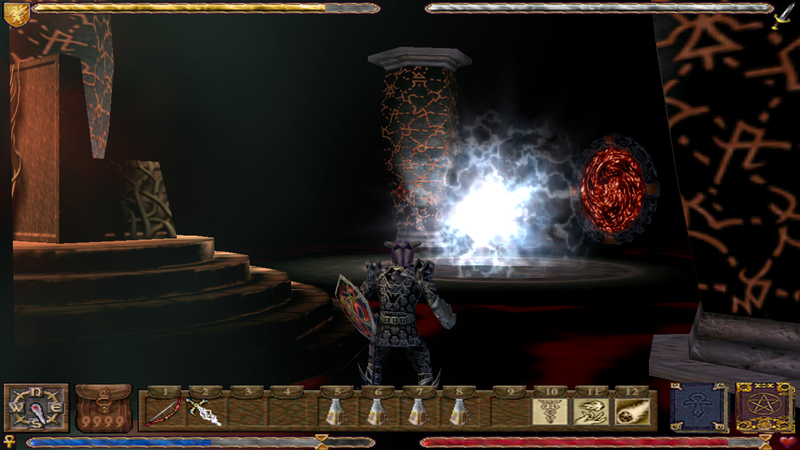 However, this openness and interactivity also greatly increased the complexity of the game, which resulted in numerous bugs that made it into the final game. A word of warning, this game will crash on you, so save early and often. I think that might have actually been the reason why I ended up quitting the game the first time around, and sure enough this time it took less than 5 minutes for the avatar to get stuck on a rock. Unable to move, I tried to free him by wildly jumping around, which caused the game to crash to the desktop. This was going to be the first time of many of these crashes. Unless you think you can live with this, and you’ll find out quickly if you can or not, I would not recommend playing the game. 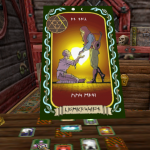 Inevitably, you’ll encounter a fortune teller who will tell the avatar about the virtues. She also asks you a series of question which determine what character class you start with. I decided to play as a bard by choosing the path of compassion, hoping that musical ability would translate straight into combat prowess as is the case in real life. As the game went on I found that classes really didn’t seem to matter much – I don’t remember doing anything bard-like throughout the game, despite finding a couple of musical instruments which clogged up my inventory. Also, in previous games, you used to start in a specific city, depending on what class you picked. Not so in Ascension, where everyone starts at out at the same place – but I’m getting ahead of myself. 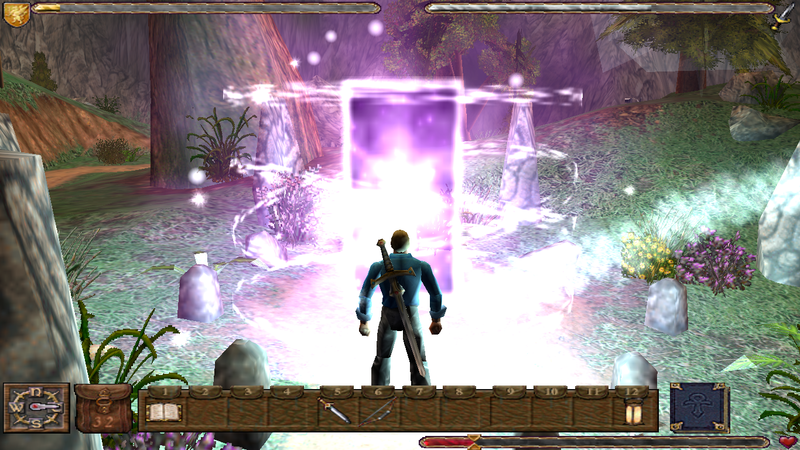 After picking a class, you use a moon gate to travel to Britannia, but as soon as you arrive, the Avatar is attacked by a dragon under the control of his nemesis, the Guardian. 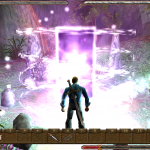 The attack nearly kills the Avatar, but he is saved by divine intervention. When he wakes up though, all of his powers are gone, and you get to start the actual game by visiting castle Britain and talking to good old Lord British. He tells you of eight mysterious columns which appeared years ago across the country, and which have since been tearing Britannia apart, and finally asks you for your help with this matter. You start your investigation in the town of Britain, and right away you will notice that something has gone wrong: it turns out, the columns have corrupted the virtues into their opposite. For example, in Yew, the former city of justice, people are being falsely accused of crimes they did not commit. The only way to revert this will sound familiar to anyone who played any of the previous Ultima games: find a stolen rune from the center of each column, a seal which is usually hidden in a dungeon nearby, as well as the secret word for the particular virtue. Combining these three, the avatar can cleanse a shrine and restore the virtue. Sounds complicated and tedious? You betcha! And the worst part is that you’ll be doing this for the majority of the game, until all eight virtues have been restored. 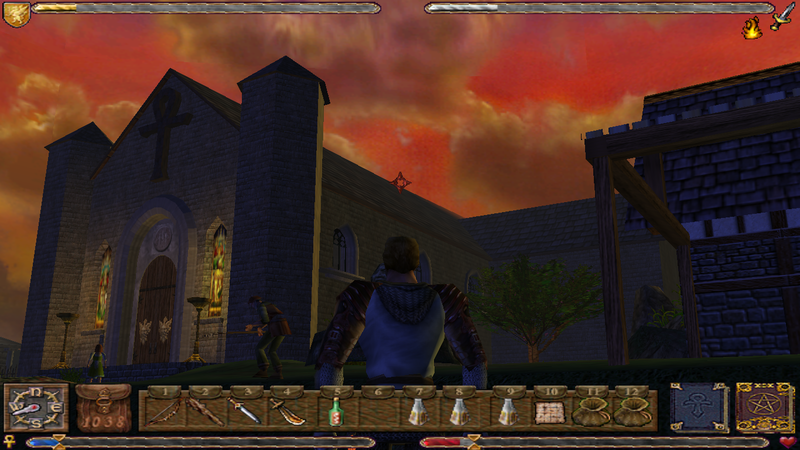 The game’s best quality lies in the visual presentation: unlike its predecessors, Ultima 9 was the first and only game of the series to make use of a 3D engine. The world of Britannia is represented as a large archipelago which can be travelled completely, either on foot or later by ship. There are no noticeable loading times, even when moving into buildings and dungeons, which improves the impression of interacting with a seamless world. Each town has a very distinct visual style and atmosphere, corresponding to the virtue it represents. Obviously, the engine feels dated over ten years after its release, but it is clear why it was considered quite an achievement in its own time. 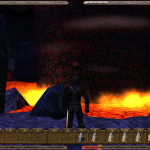 When it comes to gameplay, Ultima 9 is pretty much the opposite of the Elder scrolls games: instead of being an unknown, helpless prisoner, you start as the Avatar, hero of the people. Instead of taking on myriads of sub quests to fetch lunch for hungry NPCs and sort out their marital issues, there is really nothing else to do but to follow the main quest line. Sure, there are a couple of side quests sprinkled in, but they feels forced and hastily tacked on. 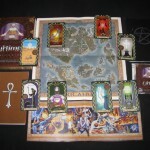 For example, one such quest requires you to find three gemstones hidden across the world map. Then you have to have them polished and finally install them into three light houses. Your reward for all this: 100 pieces of gold, at a time when your character is already lugging around a small fortune – thanks for nothing. I have to admit though, that I did enjoy how the game was less focused on combat than other series. Instead, it favors puzzles which reminded me of Zelda. For instance, one of the dungeons requires the avatar to become ethereal for short amounts of time, which turned out to be a lot of fun. 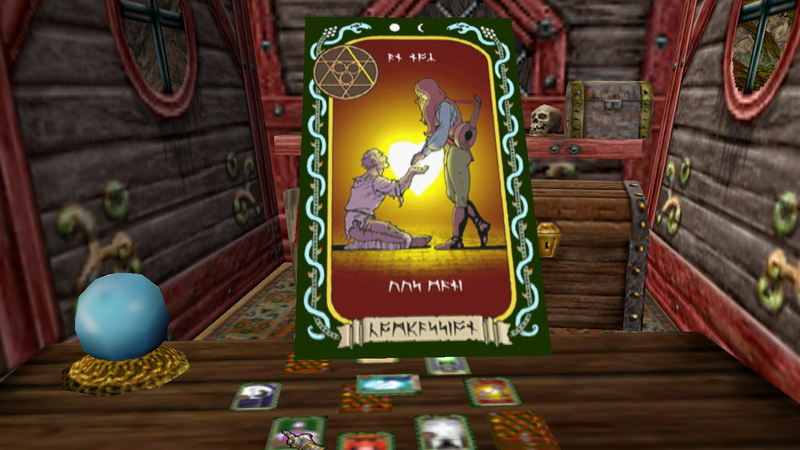 The game mechanics tend to show though in many places, and some of the puzzles felt rather tedious because they required constant backtracking. That being said, after playing Skyward Sword over Christmas, that’s basically how Zelda feels even today. After a while, you do start to discover the limits of the game world. Specifically, a lot of the NPCs do not have anything to say to you, and even most of the ones that do have merely two lines: an “evil” one under the influence of the column, and then one “good” line after you have restored the shrine. Not that you will really want them to talk more than that anyway, as the dialogs and overall writing is quite poor. Aside from an utterly unbelievable romantic arc involving the Avatar and a feisty pirate, there are whole passages ripped straight out of empire strikes back, when the Avatar is handed over to Lord Blackthorn in the same way Lando betrayed Han. To make matters worse, all of this is told in painfully slow cut scenes and poorly rendered videos. A more fundamental flaw in my opinion though, is that the game does not reward the player for exploring the game world: unlike other RPGs, there is really no concept of “experience”, and you only get to increase one skill with each shrine that you restore. 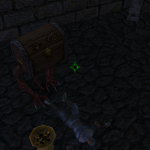 Furthermore, the game caps the amount of gold you can have at any point at such a low level, that even if you wanted to go out and fight random monsters, you would never gain anything. Needless to say, the few stores don’t really sell anything worthwhile, so money is pretty much useless. At about a third of the way, I felt like things might actually pick up: I had just been attacked by a mimick pretending to be treasure chest, which proved to be one of the few somewhat challenging opponents in the game. I was also starting to figure out the magic system, which in the tradition of previous Ultima games is quite complex, but also rewarding. Instead of just getting new spells, you have to use reagents, which can be hard to come by, so you actually have to make some tactical decisions of consequence. Ultimately though, magic turned out to be useless, as most spells do less damage than even mid-level weapons, and most enemies are not strong or clever enough to require anything more than a few hits with a sword. What really spoiled the game for me was the obvious lack of play testing which makes the game at once incredibly easy, and annoyingly challenging. For example, as you blaze through the first few dungeons, there’s nothing to challenge you, and you find more healing potions than you could possibly carry. Yet, as I tried to equip a shield I just picked up to see how powerful it was, the one I had used before just disappeared. Not “disappeared into the inventory” mind you, but just gone for good, so I had to restore a previous save game and replay the past 5 minutes. 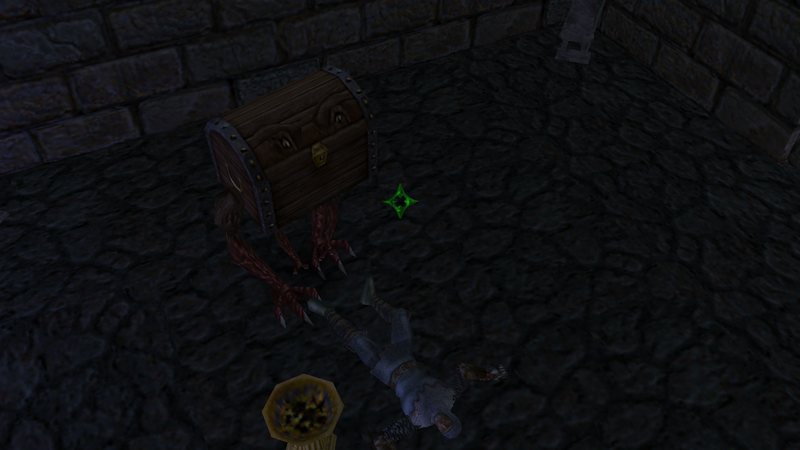 Later on, when you actually encounter foes that might hurt you, the AI constantly fails. The first dragon I encountered just froze in mid-air, and allowed me to hack away at it without any danger – not quite the heroic kill I had hoped for. The problems don’t end there though, as you constantly encounter items that were clearly intended to be part of quests that did not make it into the final game. There is a mirror in Lord British’s bedroom, which when clicked plays a video of the coming apocalypse and then bursts into pieces without being mentioned ever again. Even worse, the second dungeon of the game (after being a MAJOR headache) just has a teleporter the surface half-way through it. Apparently, shortly before shipping the game, the designers decided that this particular section was too difficult, and thus provided a shortcut out of it instead of fixing the level. Once you make your way through the final dungeons, which are a bit less of a pain but still offer few positive surprises, you end up entering the Abyss. 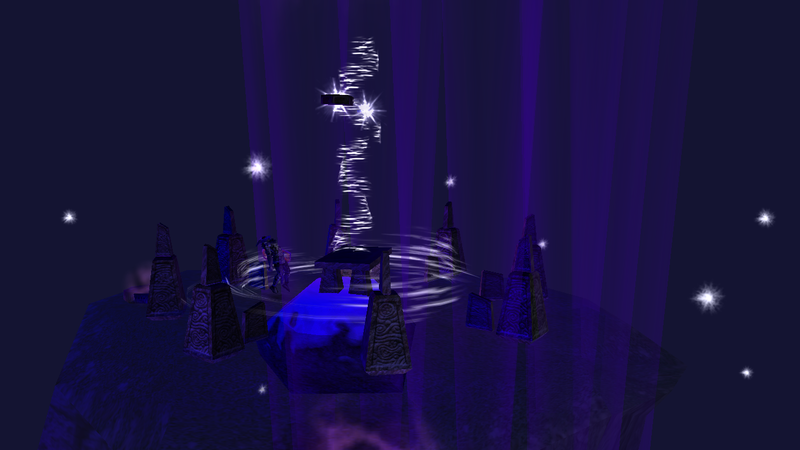 This area was present in previous game, and it probably represents best what the designers intended the game to be: there is a clear theme throughout a series of interesting levels which are actually fun to explore. Combat at this point remains a joke though, as the avatar is practically immortal, and your foes still suffer from a complete lack of (artificial) intelligence. 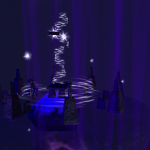 However, the story of how the goodness of the Avatar represents the ying to the Guardian’s yang draws back on the philosophical roots of the series, by pointing out that evil is relative and connected to good; and just as you enter the final area, thinking that after all, this game might actually leave behind a positive, but somewhat flawed impression, you end up in what has to be the most anticlimactic, effortless boss battle in video game history. 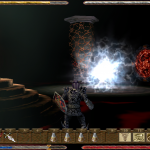 Looking back, Ultima 9 was an incredibly ambitious, but ultimately failed attempt of providing a climactic finish to a story that spanned over nearly two decades. It was victim of changing technologies, as well as rushed production cycles, and stands to remind us of how easy it is to squander potential. Next post Next How do you know you’re not a Replicant? Wow, that sounds like a truly horrible game. Thank you for playing it and saving the rest of us from its treacherous grasp. Haha, it was my displeasure. I’d say 40 hours well worth spent though, this is something I will tell my grandchildren about one day.